AN ADVANCED, POWERFUL, FLEXIBLE COMPLETE MANAGEMENT SOFTWARE FOR HOSPITAL, CLINIC, DIAGNOSTIC CENTER, MEDICAL INSTITUTE. Our solution is an integrated new generation hospital management solution or HMS which converges the latest technology and your administrative process to manage work process within the hospital. 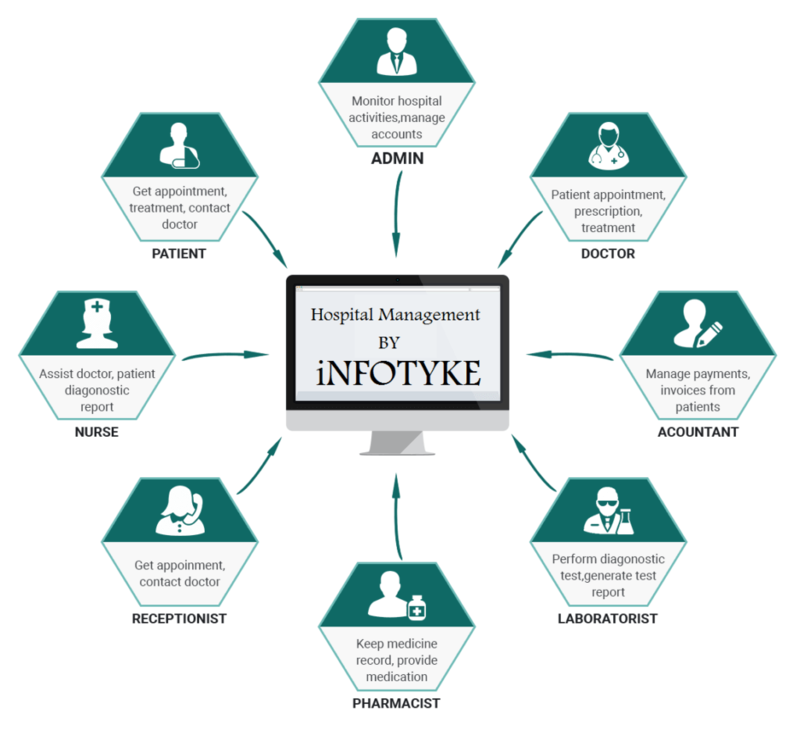 This is designed for multi-specialty hospitals, to cover a wide range of Hospital administration and management processes. Associated diagnostic reports of a prescription. Appointments filtering and management by receptionist. User-friendly and editable sms notification service. View profile information of a patient. Easily create notices and view them in event calendar. View entire medication history of patients. Receptionist user account capable of managing all appointments. Internal private messaging between doctor and patient.